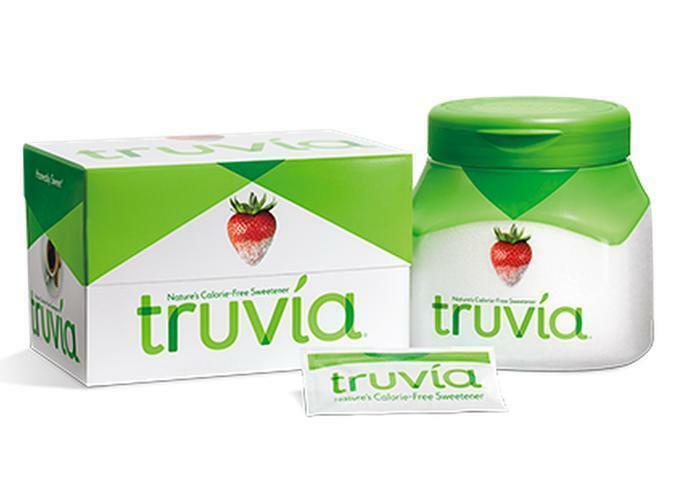 Truvia is one of the many new sweeteners popular among people trying to lose weight and keep their metabolisms in balance. It's made primarily from the leaves of the Stevia plant -- which turns out to be not just a sweet little plant but in combination with erythirtol a pretty good bug-killer a new study finds. The Stevia plant is not the problem it's the components in erythirtol which is in Truvia that poses the issue a new study finds. Researchers say that erythritol, the main component of Truvia, is what they call a "palatable ingested insecticide." Insects like to eat it, in other words, with deadly results. The study, published in the current PLoS ONE, suggests that the popular sugar substitute could be an effective and human-safe insecticide. No other known sweeteners currently on the market exhibit these toxic effects on insects, according to the authors. One of the budding scientists contributing to the study just happens to be a ninth grader, who's following in his father's footsteps. His father, Daniel Marenda, was already working on the project when his son Simon asked if he could test the effects of different sugars and sugar substitutes on fruit fly health and longevity for his science fair. His father eagerly said yes. The father and son duo went to a local supermarket and bought every type of sugar and sugar substitute that they could. They raised "baby" flies (supplied by Marenda's lab) on the various compounds to see what would happen. After six days of testing the fruit flies in their house, Simon came back to his dad and told him all the flies in the Truvia vials were dead, His father thought they made a mistake and told his son to repeat the experiment. They did, and determined that flies raised on food containing Truvia lived for only 5.8 days on average, compared to 38.6 to 50.6 days for flies raised on control and experimental foods without Truvia. Flies raised on food containing Truvia also showed noticeable motor impairments prior to their deaths. According to the elder Marenda the main component of Truvia, the sugar erythritol, appears to have pretty potent insecticidal activity on flies. The researchers next hope to find out if the sweetener kills other insect pests, such as termites, cockroaches, bed bugs and ants. Are your food fears justified? What about gluten, MSG, high fructose corn syrup?